Random things to pass along to non-clients! If you find any of these useful, would you be so kind as to buy us a cup of coffee? You can use the Donate button below. Thanks! NOTE: YOU MUST CLICK FILE > MAKE A COPY and make a copy of the file into your own Google Drive account. This is the beginner training approach we wish we had when first starting powerlifting. Enjoy! NOTE: YOU MUST CLICK FILE > MAKE A COPY and make a copy of the file into your own Google Drive account. 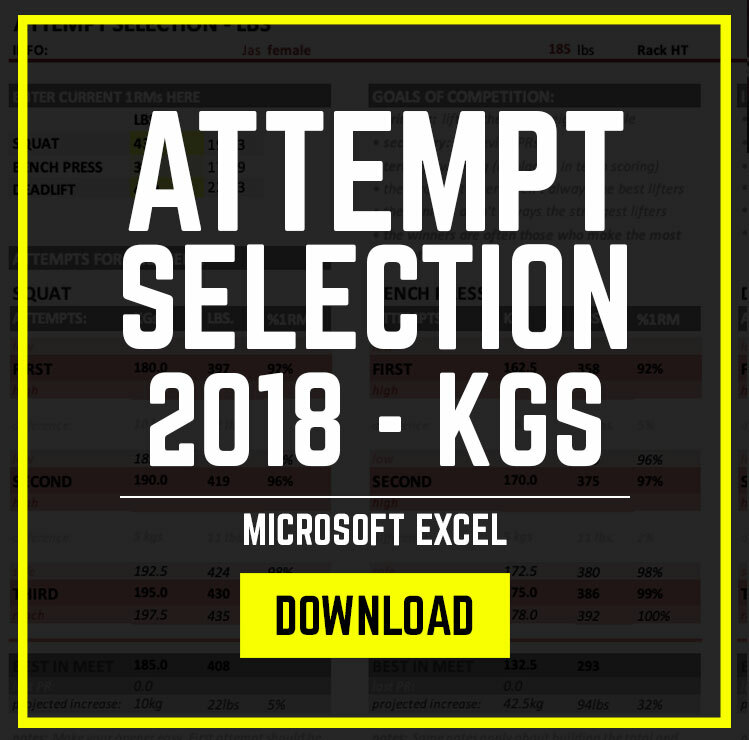 This year, we've made some small enhancements to our well-used attempt selection sheet. Warmups and attempts are now on a single page which prints in portrait view instead of landscape. Pages now have an athlete picture for a personal touch and making sure the right attempt gets entered. The instructions page now includes a few tips for higher success. Imports meet history from OpenPowerlifting and now includes IPF points. As if you weren’t inundated with free templated training approaches from every direction. We found that lots of people were coming to us having limited options for an intermediate approach, and we wanted athletes to have a training approach that could segway perfectly into training with TSA, but that stood alone very, very well. Included is a guide on warming up, an FAQ, information on RPE and autoregulation, and more! Complete with Wilks score, a guide to warmups, and some useful information on attempts and their correlation with athletic success from Matt Gary. Enjoy! 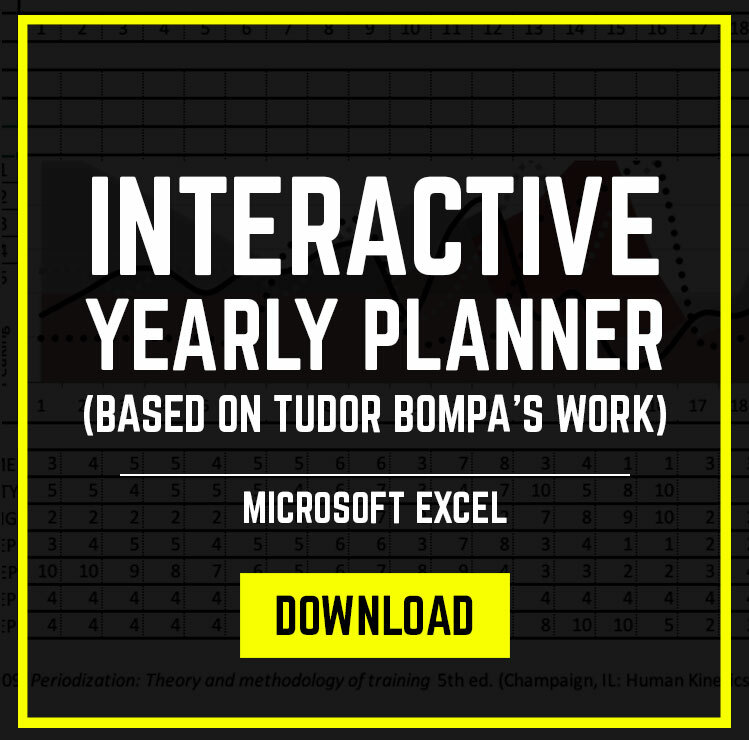 Based on Tudor Bompa’s work in Periodization, 5th Ed., I’ve created a usable spreadsheet for planning out the year in advance. While something like this is probably more useful for athletes who are competing multiple times per year and who actually need more variation in volume and intensity, it can be a useful tool for athletes of all experience levels. I suggest reading Periodization (available at Amazon.com), and using that and a background knowledge of powerlifting and strength & conditioning to create full customized training for yourself. Some of the more popular programs, while good, can only take you so far because they are meant for a general athlete and not YOU. While its true we are not special snowflakes, we are all at different experience and training levels and have our own blend of leverages, movement efficiencies and deficiencies, and psychological makeup that can affect training effectiveness. You don't know how excited I am about the possibilities here. You could really conduct your own research with this, relating volume in athletes on main movements and proportion of weekly movements devoted to a specific group of exercises, e.g. how much volume on the squat compared to deadlift. We stand on the shoulders of those before us! 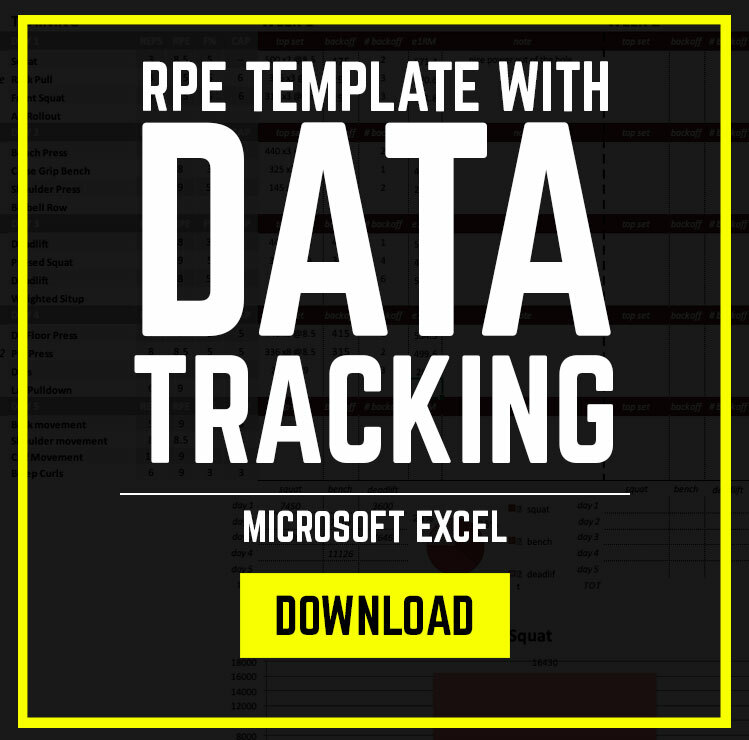 ased on some observations of features I’d like to see in a percentage-based program, and the type of data I think is important to have and use, I’ve created this planning and tracking page for you (and me!) to use. 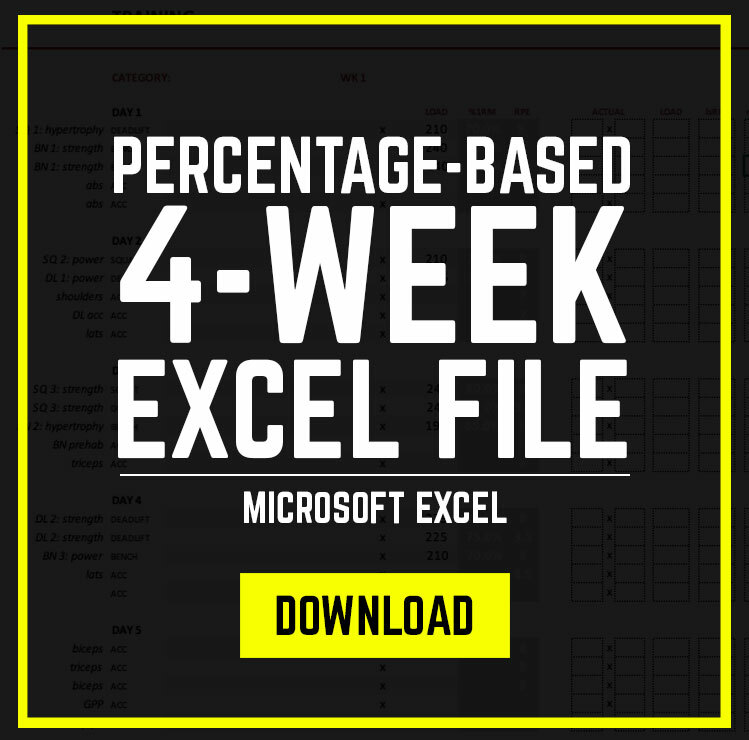 With it, we can see average weekly intensity, percentage of volume coming from weeks 1-4, and what percentage of the week’s volume is coming from squat, bench press, and deadlift related exercises, as dictated by users. Use the “category” feature to define which volume you want an exercise to be tallied towards. “SQUAT”, “BENCH”, “DEADLIFT”, and “ACC” for accessory are acceptable entries. I would have made these drop-down lists, but I think you wouldn’t be able to edit it on a mobile device (they don’t like data validation yet). Background ideas from Mike Zourdos and Boris Sheiko. Please refer to the YouTube channel for an explanation of the file, and it is necessary to know how to hide and unhide rows/columns.